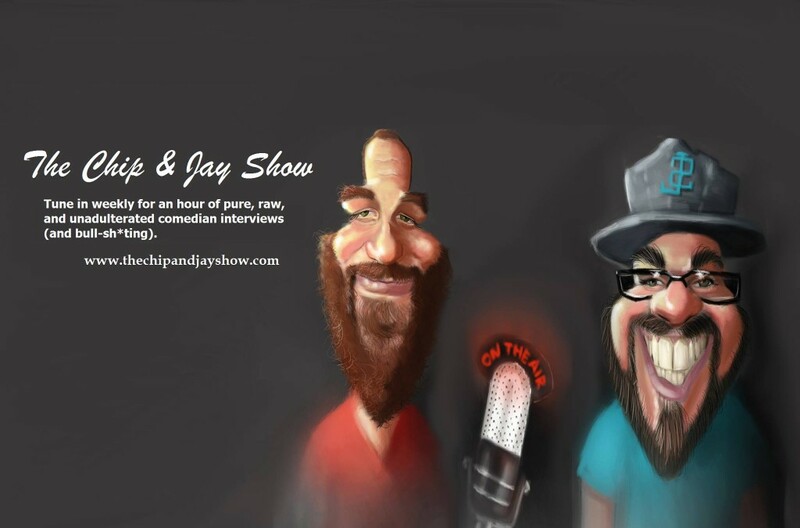 The Chip and Jay show was born June 2013. We are often asked why we decided to start the show, the honest answer is… Chip never shuts the F*** up and wanted yet another avenue to hear himself talk. He solicited his best friend Jay who also likes to hear himself talk, and was excited at the possibility of playing with audio equipment! From here the Chip and Jay show was born! Most weeks the guys are joined by a hilarious comedian guest. Chip and Jay get to know the guests through intimate interviews. You can count on the guys breaking down the walls and getting hilarious, vulnerable, sometimes dark, and always interesting stories from their guests. When Chip and Jay aren’t joined by a guest they take advantage of the opportunity to tackle some of the weirder things in the news while sprinkling funny and embarrassing personal stories into the mix! Chip and Jay strive to make the kind of show that they want to listen to. This means always looking for ways to improve, but staying true to what they enjoy. Do you love podcasts that hold nothing back and share even the most embarrassing and vulnerable of stories? If so the Chip and Jay show is for you!